Following the incident of 28 October 2013 near Tiananmen Square in Beijing, the World Uyghur Congress expresses concern over the Chinese Government’s lack of transparency. The World Uyghur Congress is concerned over a lack of state transparency regarding an incident on October 28, 2013 near Tiananmen Square in Beijing. The World Uyghur Congress believes that the Chinese government’s online censorship of details about the incident, detention of overseas journalists covering the story and official silence is an indication the public will never hear a free and fair account of events in Beijing. The World Uyghur Congress expresses its profound sadness at the loss of life in Beijing on Monday and restates its categorical rejection of violence in all forms. The Chinese government, through official media, has so far stated police are seeking two “Xinjiang suspects” in relation to the incident. A police notice distributed to hotels in Beijing was widely circulated on the Internet yesterday and indicated authorities are looking for two individuals with Uyghur names. Police in Beijing have yet to confirm the ethnicity of the two “Xinjiang suspects,” as well as any firm details and the motivation behind the incident. In addition, the ethnicity of the three individuals believed to have been in the car involved in the incident has not yet been disclosed. However, police did detain BBC, AFP and Sky News journalists who attempted to report from the scene. According to a Washington Post article, state censors rapidly deleted social media posts on the incident, especially those displaying photographs. Internet searches regarding the events were reportedly blocked. Furthermore, when asked about the incident, Foreign Ministry spokesperson, Hua Chunying simply told reporters that investigations were ongoing. No footage of the incident was broadcast on state broadcaster, CCTV. The lack of information is consistent with approaches taken by the Chinese authorities to previous incidents involving Uyghurs. Police only confirmed a number of incidents in East Turkestan over the summer of 2013 after a lapse of several days. In the case of an incident that occurred in Lukchun on June 26, 2013, the Chinese government at first imposed a domestic media embargo, deleted any online references to the events and detained overseas journalists attempting to conduct onsite reporting. The Chinese government subsequently declared the Lukchun incident as terror motivated although other explanations were available. Doubts over Chinese claims of Uyghur terrorism have been consistently expressed in the overseas media, including by the New York Times’ Ed Wong, the BBC and the New York Times’ Andrew Jacobs. In the era of the “war on terror,” the Chinese government has endeavored to link Uyghur dissidents and groups to international terrorism. Chinese authorities continue to defend their crackdowns in East Turkestan in the name of fighting the “three evil forces of separatism, terrorism, and extremism;” however, scholars have cast considerable doubt upon China’s assertion that it faces a concerted terrorist threat. The World Uyghur Congress asks overseas media to treat Chinese authorities’ allegations stemming from the October 28, 2013 incident with skepticism and to report on the absence of independently verifiable evidence available to the international community regarding Chinese government claims of Uyghur terrorism, instead of sensationalizing and speculating on a tragic incident. Tiananmen Square is frequently the site of demonstrations in China. The most notable of these in recent memory is the 1989 democracy protest, which was bloodily suppressed on June 4 of that year. Individuals have also demonstrated their opposition to state policies on Tiananmen, including a 42-year-old man, who self-immolated on the square in 2011 over a legal dispute. 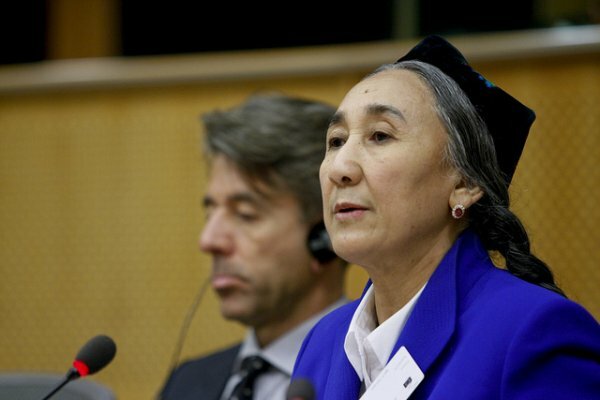 The World Uyghur Congress is also concerned that China’s approach to this incident will lead to further demonization of the Uyghur people and incite a fierce state crackdown on East Turkestan. The World Uyghur Congress reminds the Chinese government that it has domestic and international legal obligations to protect the human rights of all its citizens, including Uyghurs, which encompass the right to due process. China’s attempt to link Uyghurs with terrorism has resulted in broader societal discrimination against the Uyghur people. The World Uyghur Congress urges the Chinese government and citizens to act responsibly towards the Uyghur people in the wake of the incident on October 28, 2013. Furthermore, the World Uyghur Congress asks the international community to regard information originating from Chinese state sources, which cannot be independently verified, with suspicion and to express deep concern if China uses the Beijing incident to exacerbate its crackdown on Uyghurs in East Turkestan.